Want to drum up more business? Interested in Facebook advertising but new to digital marketing? We interviewed lead generation and inside sales expert, Chris Smith, about how small businesses can leverage Facebook ads to generate more leads and increase sales. Chris Smith is the author of the national bestselling book, The Conversion Code, and Co-founder of Curaytor, a full-service digital marketing company that helps small businesses acquire and retain more customers. Curaytor has been featured in Forbes, Inc, and Entrepreneur to name a few. 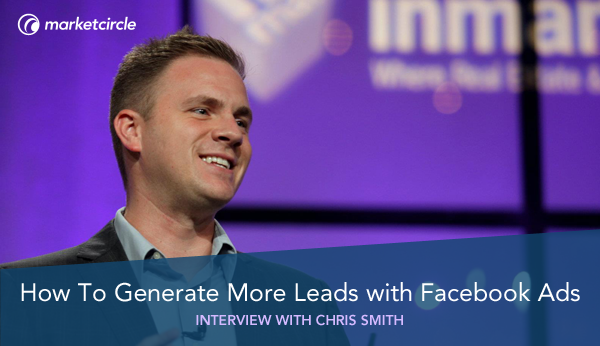 If you’re interested in leveraging Facebook ads to drive more leads and grow your business, you’ll wish you heard Chris Smith’s expert advice sooner. Why is online lead generation & inside sales so important for small businesses? Chris Smith: The first reason is because that’s the way the world is moving. 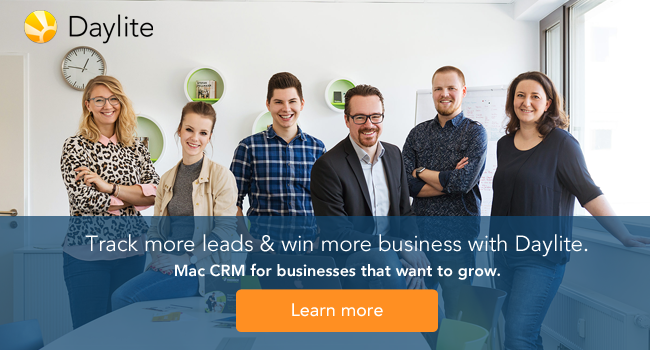 There’s a lot of interesting data around the growth of inside sales and the growth of lead generation. But I think the main reason is because every lead is an Internet lead. It no longer matters if someone fills out a form on your website, or gets to your landing page, there are literally zero people who are not going to check someone out online before they call. That’s the way the world is now. Real Estate agents used to have a book in their drawer called the MLS book. If you wanted to get information about real estate you had to call them and ask them to pull the book out and read it to you. Now that book is on Zillow. It’s not that different for attorneys either. Doctors hate WebMD and attorneys hate 411 PAIN. But the reason they hate them is because they have all the attention. We’re living in a Netflix era and a lot of small businesses are still operating like Blockbuster. Why is Facebook such a great opportunity for small businesses to leverage for reaching potential buyers? Chris: The same way I believe every lead is an Internet lead, I believe Facebook is the Internet. One out of every 4 page views is on Facebook, 2 billion people use Facebook, 30 million businesses use Facebook, but less than 3 million people advertise and less than 1 million small businesses advertise on Facebook. People spend 23 minutes a day on Facebook and they have more data on their users than anybody has in the history of the world. Imagine calling the New York Times and saying you want to put an ad in the paper for only people with college degrees over 50 who like to drink vodka! But with Facebook, you can literally pick out your perfect customer and then put an ad in front of them. Reaching potential buyers is different. It used to be the spray and pray method. You’d do a radio ad, a TV ad, and a newspaper ad to get your business in front of as many people as you could and it was highly irrelevant to most of them. The beauty of Facebook advertising is that every ad you ever run can be highly relevant to the audience. What common mistakes do you see small businesses make when using Facebook for advertising? Chris: I think one of the biggest mistakes is they don’t understand that the devil is in the details. The biggest mistake people make when they go to run their first couple ads is they reduce the targeting so low that there’s no one left to target. They literally want to find the 5 people that will buy today. When you’re targeting an ad on Facebook and you want it to get a lot of traction and clicks, the way I recommend it is to get it in front of more people. We actually did some homework. 100% of the top performing ads that we graded, were targeting 60,000 or more people. I would say the other mistake small businesses make is that they start with strangers instead of starting with the people who know them the best. The best two audiences to target on Facebook are your current database of leads and clients, and the people visiting your website already. It’s called a custom audience. So you’d export your database from Daylite and upload it to Facebook. You install a pixel on your website and tell Facebook to show an ad to anyone who visits a page on your website. Those are the people that are most likely to work with you. It’s a big mistake to start with strangers when you can start with the people that already know and like you. What’s more important: killer images or killer copy in Facebook ads? Chris: Image is everything! People don’t read the copy unless the image catches their attention. People process images and visuals 60,000 times faster than worlds and people have an 8 second attention span. You definitely have to write killer, clever copy, but that copy will never be read if you don’t choose the right image. For small businesses that don’t invest in professional photography, what do you suggest to leverage for great Facebook ad images? Chris: The first thing I would say is if you’re a legitimate small business, you should be able to afford professional photography. We find that professional photos get 3 times more clicks than amateur photos. If you can triple the success of every ad you run simply by spending a couple of hundred bucks on photos, it’s totally worth it! But there’s a lot of really great, non-cheesy stock photo sites. We love Bigstock Photo, we love Unsplash, we love ShutterStock. So I don’t know that it’s necessarily about who took the photo, I think it’s more about finding an image that’s very, very eye-catching. You want your images to have stopping power. You don’t want the person to be able to scroll past it. Bright images, hero shots vs collages – image is everything. We spend as much time or more on the design of the image as we do on the copy. If you use stuff like Canva or DesignBold, they have a ton of stuff in there that’s prebuilt and it’s pretty good. How do you create “stopping power” with images? Chris: People’s faces draw the most attention and whitespace is really underrated. A lot of times it’s tempting to use big, bright, bold colours in the whole ad, but it’s actually really compelling when you leverage the whitespace of the ad. The background of Facebook is white, so you don’t have to fill that all in. If you have a silhouette cutout of someone, you can actually use that whitespace really nicely. There are some really cool eye-tracking tests that have been done – particularly one posted on Mashable. Nothing draws people’s eyes to an add more than another human’s face. How do you suggest small businesses can engage customers better on social media? Chris: One of the things you have to find is a balance between what Gary Vee calls “jabs” and “right hooks”. A lot of the stuff people come to us for is needing more leads and conversions. But when you’re willing to play within the ecosystem and use Facebook as a branding and awareness play, it definitely works better. I think part of it is finding that balance between the jabs and the right hooks. We’ll put out 10 or 15 useful posts for every one that we put out that asks people to go to a webinar or something like that. With all the metrics Facebook give you for your page and your ads, what are the most important metrics to be looking at? Chris: That’s exactly why we built Grade My Ads. It’s very difficult to go in Facebook and get any sort of common-sense reporting. We built a tool that will grade people’s ads for free and then tell them how to run more that work best. We graded 4,000 businesses accounts that are spending over $20 million dollars and you can see how you compare to those folks. The first is effectiveness and the way we look at that is enagegemnt rate. The second is relevance and we look at the relevancy score. The third is budget and we look at the cost per engagement. The fourth is consistency – are you advertising each and every week or are you just advertising once a quarter? So we look overall at quality, consistency, budget, and effectiveness and we try to use more common sense terms so it’s easier to understand than Facebook’s metrics. Why is it so important to be consistently advertising on Facebook instead of just once a quarter? Chris: For the same reason you go to the gym every week instead of just once a quarter. Nobody is good at advertising right away. You have to fail forward. There are zero ways to become good at what I’ve learned without doing it a bunch of times. That’s why Curaytor exists. It’s very difficult for small businesses to A/B test – they don’t even know what to A/B test and they don’t know what to check or what to try if they do. It’s very lonely to do marketing as a small business owner and that’s the problem we’re trying to fix. We wanted to connect all these small business owners so they can share the templates that work the best. If someone sends an email that gets an 80% open rate, our other clients would love to know that! If someone runs an ad that gets $0.01 per engagement, our other clients can swipe that ad. So I think that is a challenge – you don’t have a huge budget and if you own a small business, there’s a 99% change you’re terrible at digital marketing. Because if you are a really good realtor or a really good lawyer, it’s hard to be really good at more than that one thing. Especially if you’re over 40 or over 50, you don’t even care about this stuff, you just want the results of social you don’t necessarily want to do social. So it’s incredibly difficult and I think what happens is that people run an ad or boost a post and don’t really know if it did good, bad, or ugly so they go back and they do what they’ve always done. What’s the most important part of digital marketing? Chris: The most important thing that comes with Facebook advertising and marketing is that you have to follow up with the leads it creates. I didn’t write “The Lead Generation Code”, I wrote The Conversion Code, and I think that tools like Daylite and other CRMs are crucial because we believe the fortune is in the follow up. That’s a big part of the focus of my book – section 1 is lead generation, section 2 & 3 is follow up and sales. I think it’s a really big mistake to do any advertising without a system behind it that tracks it, nurtures it, and scores it. I think people that aren’t using a database or that don’t have technology are a fake small business. If you’re running your small business from Outlook or Gmail, don’t call me and ask why it’s not growing. A lot of small businesses that come to us are well respected but if you look under the hood, it’s complete chaos. They’re just trying to keep their head above water and it’s a shame but I understand why – we were a busy small business too. The key to scaling is people, technology, and process. You’d be amazed at how many small businesses think they’re the only one who can get the job done. They don’t think anybody else could ever possibly be as good as they are so they don’t delegate, outsource, or automate. But then they’re not building a business that’s thriving, they’re building a business that’s just surviving. It’s hard. The first time I hired a sales guy and he was going to be calling leads and not me, I knew he wasn’t going to be as good. But I also knew it would free me up to do 800 other things. It’s hard. The concept is to hire great people and then get out of their way. We really love the challenge that comes with growth. Even the people that have businesses that are chaotic, if they got organized and started growing, they’d still be faced with new problems. There’s no day when everything becomes easy, you just get better at dealing with problems. To learn more, visit Curaytor.com, check out the Curaytor Facebook page, and pick up a copy of The Conversion Code.